I love surprises! Seriously, I’m like a big kid that way. Let me clarify… I love “good” surprises. I don’t want to get a “surprise” visit from someone when my house is a mess, type of surprise, if you know what I mean. I adore wonderful surprises. But I love surprising other people even more — with the exception of my Mom, who hates being surprised… but I digress. And I like finding out people I know have a surprise talent. I’m not sure if I have a surprise talent or not (and the operative word is “talent”), but I know some people are surprised to find I have a little knack for decorating. Especially the first time they come into my home. 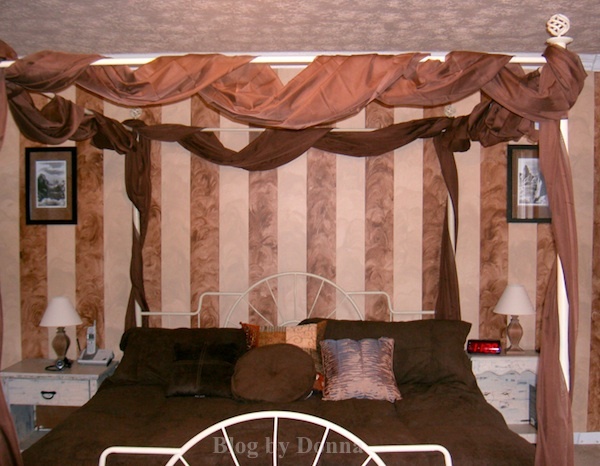 Like my bedroom for example… everyone that sees it, things I have wallpaper on the walls. It’s not wallpaper. I taped off stripes on my walls and did a faux finish paint treatment. Everyone, I mean everyone assumes it is wallpaper at first. I wish I had more time to decorate, I’d change the look of my home several times a year, if I could. You know Green Giant? The brand that makes all the delicious frozen and canned vegetables we know and love? Yep, that’s the one. They have a Giant surprise. Wait for it, wait for it… New Veggie Chips! Confession: I’m a snacker. It’s true. So I have to allot for snacks in my calorie count each day, and it’s tough some days. I quit eating chips in October, and really miss them. Now I can have delicious Green Giant Veggie Chips and satisfy my snacking needs, and not feel guilty. 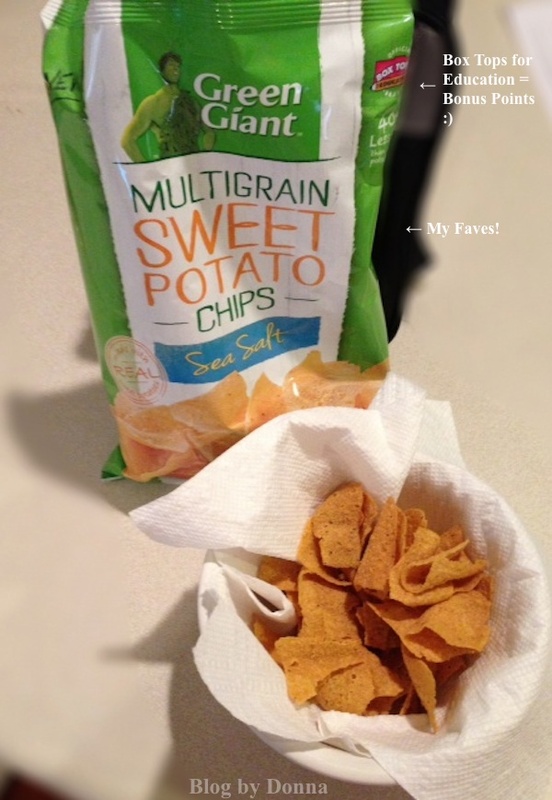 The Multigrain Sweet Potato Chips – Sea Salt flavor are to die for — my favorite. My husband and son’s favorite are the Roasted Veggie Tortilla Chips – Zesty Cheddar flavor. I had to separate them… they kept fighting over them. Sigh. Well, there’s the three surprises (#AGiantSurprise for sure). Actually make that four, because my son won’t eat vegetables, unless they’re french fries, and he loves the Green Giant’s New Veggie Chips. Color me pleasantly surprised. Check out these surprise talents the Green Giant unearthed – http://youtu.be/BfHUBT9vKVU. And show the Giant on Facebook your surprise talent https://www.facebook.com/greengiant/app_129779140529140 I shared my son’s surprise talent. Watch even more surprise talents on the Green Giant YouTube Channel. Wow! I love the colors on the wall! Knowing my boys, they dislike veggies. But this, I could try with them and see if they like it. Thanks! Well, put them in a bowl and they won’t know they’re veggies and good for them. lol. WE love tons of veggies. here. 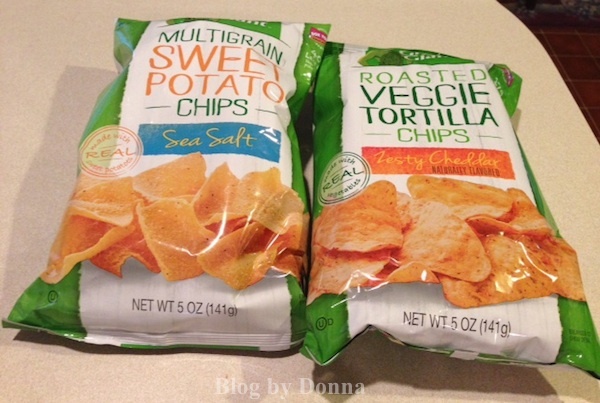 Central Market has some veggie chips that I LOVE….I’m going to have to try these. The sweet potato ones look awesome! The strips looks FABULOUS, love, love, love!! Thanks! I did it a few years ago and I’m still loving it. I have added some blue accents into the room. Aren’t they the best tasting snack chips you’ve had in a while? Soooooo good! I am so looking for these at the store next time I’m there! My kids would love them. My mother has a knack for decorating and I’m totally in love with the tortilla chips. I’m sure you are thrilled that your son likes these! My daughter hated veggies when she was little and I wish these were around then. I have tried these chips and they are SO tasty. I like them better than regular chips! My kids will eat Veggie Straws, so I’m sure they’ll like these too. Your walls are awesome! I’d like to try the sweet potato chips. I’ve been making sweet potato fries a lot lately. These do look good – and would be a great snack option for my kids. Hopefully we will have them here soon! I love the stripes- totally thought it was wallpaper! &I wish I could wiggle my ears! I’m so in love with sweet potato chips or veggie chips right now. You do have quite a talent! It does look like wallpaper in the picture. I think these new veggie chips are a great idea! I think I’d really like the Sweet Potato ones. I keep hearing of these but I haven’t seen them anywhere yet. That DOES look like wallpaper. 🙂 I have seen those chips around and I really want to try the Sweet Potato ones!